Both of these robot vacuums are a great choice. 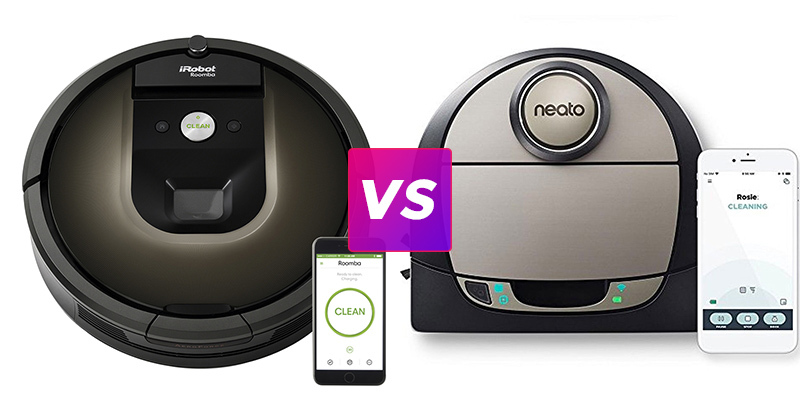 Within their own brands’ lineup, both the Botvac D7 and Roomba 980 are at the upper end of the spectrum. Here are the main similarities and differences between the two. 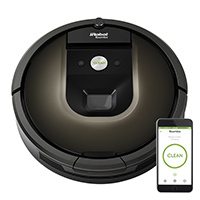 The Roomba 980 and the D7 Connected are better than adept at cleaning and have plenty of smart features including apps that report on their cleaning progress and allow scheduling. The D7 does have two tech features that the 980 lacks: an official API (if you don’t know what it is you don’t need it) and the ability to control the D7 via chatbot (again, that may have no value to you at all). One aspect of the D7 that’s a negative is that it’s louder than the 980. While they both clean well, it is worth noting that the D7’s brush is significantly wider than than the 980’s. In the 980’s favor, however, is its Carpet Boost technology that steps up suction power when cleaning carpet. While both robot vacuums are similar in size, one area that may matter in your home is each vacuum’s height. At 3.9 inches the D7 is slightly taller than the 980 which is 3.6 inches tall. It’s a small difference, but a potentially important one if your home has low-profile furniture. In the longevity department the vacuums both run for right around two hours even. The 980 takes an extra 30 minutes to reach a full charge over the D7’s 2.5 hours. 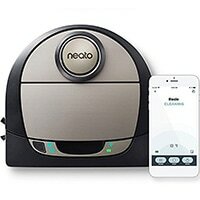 If you want a robot that will clean your carpet in the dark, you’ll want the D7. The 980 can’t do that. Beyond, that it is an incredibly close call between these two that will likely come down to one of the minor nuances mentioned above.